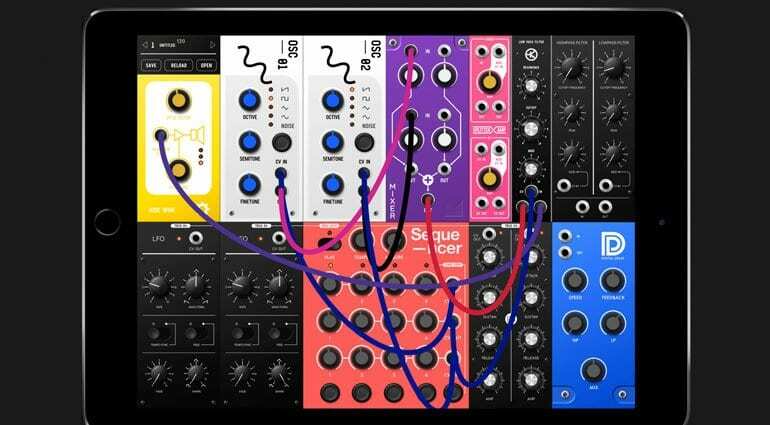 App developer DesignByPaul has released a fruity looking modular synthesizer for iPad called S-Modular. He calls it “semi-modular” but I’m not entirely sure why. That would suggest that some connections have been made for you but the signal path and modulation look pretty open to me. Maybe the fact that it’s automatically wired into the audio outputs makes it a semi? 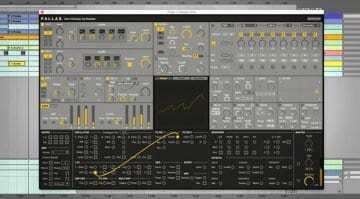 Anyhow, it’s a single page, one screen app with just enough modules to get you patching something interesting. 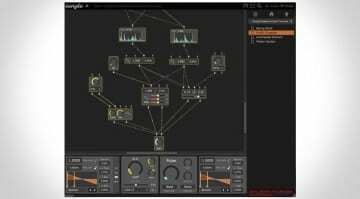 There are two oscillators, two filters, two LFOs, two envelopes, a 4 step sequencer, 4 track mixer, delay and an audio/CV splitter. 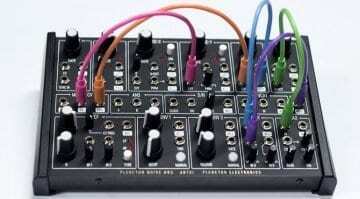 Essentially it’s a lunchbox of modular goodness. It’s designed to make patching as simple as possible. Just drag from one socket to another to make a connection. You can change wire colour with a tap. On closer inspection, I’ve noticed that there’s no VCA and so nowhere to apply the envelope. 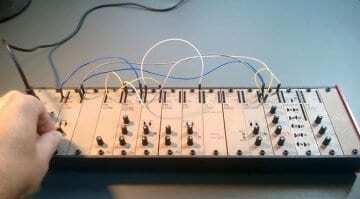 This must be where the semi-modular side comes into play. It says the envelopes are triggered via the sequencer, but there’s no patch connection for that, so I imagine all the envelope sound shaping is hardwired behind the scenes. That will explain the semi-modular description.